Brian Goodison-Blanks writes about the renewed interest in Art Deco furniture as we approach the first centenary of this particular design period and explores the work of Betty Joel (1894-1985), which is being increasingly sought after. 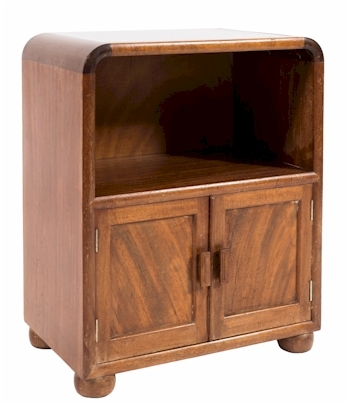 Betty Joel (1894-1985): a Token mahogany bedside cabinet (FS36/1048). As we approach the centenary of the first major design period of the 20th century, original Art Deco furniture is once again taking its place in the homes of the 21st century. A perfect example of the style of furniture that is becoming more and more sought after is that of the self-taught furniture and textile designer Betty Joel, of which several pieces are included in Bearnes Hampton & Littlewood's forthcoming Fine Art Auction. 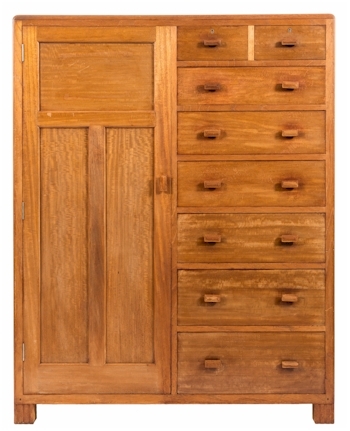 Betty Joel (1894-1985): a Token mahogany wardrobe (FS36/1045). I despaired of trying to adapt old furniture to the needs of my own entirely modern house. 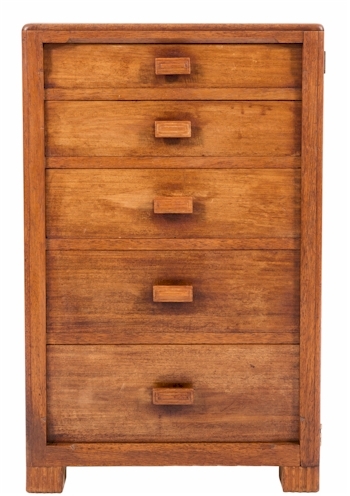 Betty Joel (1894-1985): a Token mahogany five draw Wellington chest (FS36/1047). 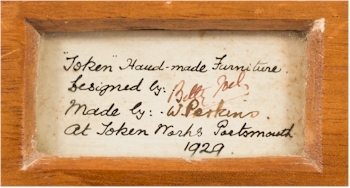 Frustrated by this, she began to design furniture for their own home, eventually setting up Betty Joel Ltd in the early 1920s. Initially produced at a small factory at Hayling Island, local craftsman from the area who had previously worked as yacht fitters were used to create the designs influenced by French Art Deco furniture and the rich variations and combination of woods. Many of the social and corporate elite of the period commissioned Betty Joel to design furniture for their homes and offices. In 1929, the factory was relocated to larger premises in Portsmouth. Betty Joel (1894-1985): Detail from the Token mahogany five draw Wellington chest (FS36/1047).